A “Transform 2020” plan for CT State Colleges and Universities (CSCU) and new programs designed to meet workforce needs were key topics at the College’s Town & Legislative Breakfast held on February 20th at the state Capitol’s legislative dining room (LOB). State Rep. Edwin Vargas of Hartford’s 6th District and State Rep. Peter Tercyak of the 26th District (New Britain) spoke at the annual breakfast attended by Capital Foundation board members, students, alumni, community partners and staff from the Higher Education and Technology Committee and the Governor’s Office. Rep. Vargas, a public school teacher for 35 years, serves on the Legislature’s Appropriations and Commerce committees. Tercyak, the C0-Chair of the Labor and Public Employees Committee, also serves on the Appropriations Committee. Tercyak is a nursing alumnus of the College. President Wilfredo Nieves shared Capital’s new program initiatives made possible by recent U.S. Department of Labor federal grants. A 2012 Life Sciences Career Initiative has led to enhancements to health professions programs and a new biotechnology degree program. Last fall Capital received another $2.3 million in Trade Assistance funds joining seven other colleges on the East coast in the Northeast Resilient Consortium (NRC). Degree and certificate programs in medical assisting, social services and emergency response (EMT) will be enhanced with the grant. New degree and certificate programs are being developed in green construction, cybersecurity and mobile apps for the fall 2014. The Transform 2020 plan is a multi-year, multi-phase initiative to make “one interdependent system and strengthen online learning capacity” among the 12 community colleges, four state universities and Charter Oak State College. To improve student retention rates and increase enrollment, the plan calls for “Go Back To Get Ahead” — tuition free courses for individuals seeking to complete degrees and veterans whose experiential learning in the military can be evaluated for academic credit. President Wilfredo Nieves and Kyle Thomas, CSCU’s Legislative Program Manager, outlined and answered questions about Transform 2020. It proposes more system-wide credit transfer and course articulations to reduce time to degree completion and reduce tuition costs. The plan expands early college programs to all the community colleges in an effort to reduce remediation, decrease degree completion time to save tuition dollars, and connect with students who might not consider college. Capital is already opening an early college academy in conjunction with Hartford Public Schools next fall. Colleges’ workforce development missions will also be aligned with the strongest industry growth sectors which at Capital may include nursing and health professions, insurance and financial services and information technology. Implementing the first phase of Transform 2020 will require legislative approval of $60 million in operating funds. Another $60 million is being sought for facilities and IT improvements. Another $20 million in existing community college bonds will be moved under the CSCUS 2020 initiative and $14.5 million in new funding will come from existing state Office of Policy Management (OPM) capital funds. 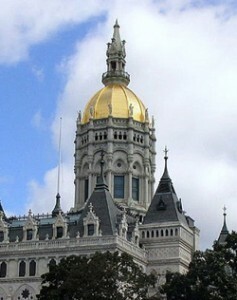 The legislation impacting Capital Community College and other state colleges is contained in Governor’s Bills 30 and 5050. The future of Capital’s nursing program was also discussed as hospitals and health care employers move to require the Bachelor of Science in Nursing (BSN) for registered nurses. Dean of Academic Affairs Mary Ann Affleck and Director of Nursing Dr. Cynthia Adams shared a proposal that has been submitted to the Board of Regents for a BSN program at Capital. Capital currently graduates Associate degree nurses in a 68-credit program that includes the most expensive element of a nursing course of study, the clinical experience. Under the proposed BSN model, the first three years would essentially be covered by the existing program and resources. The additional costs for the one additional year would require two additional full-time faculty members for additional BSN level courses and one clinical coordinator to locate and oversee community health clinical placements in the new program. Capital’s nationally accredited nursing program will mark the 40th anniversary of its first graduating class in 2016. It is the largest RN degree program in the state and fourth largest in the nation. More than 100 nursing students graduate each year with more than 90% passing state licensure exams. CCC Foundation Chair David Seder welcomed breakfast participants. He was joined by fellow directors Mayra Lozada, John Shemo, Brenndan Colbert, Dr. Jeffrey Partridge, Greg Secord and Dr. Brian Van Linda. Providing student perspectives were Nefris Quiterio-Sanchez and Brenndan Colbert, a student senator and President of the Rotaract Club. Dean of Administration Lester Primus shared information on the College’s budget of which 43% is funded through state appropriations. Dr. Larry Deutsch of Hartford’s Common Council represented the city government at the breakfast sponsored by the College Foundation. This entry was posted in Board of Directors/Advisory Council, Events, Legislation and tagged early college, legislation, nursing education, tuition. Bookmark the permalink.